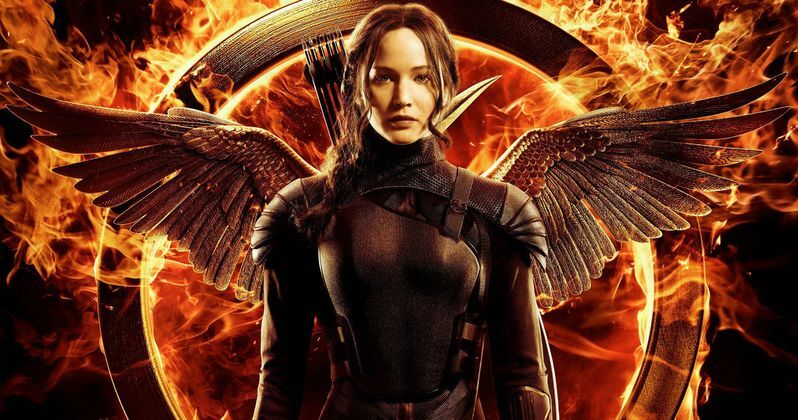 Hunger Games: Mockingjay Part 1 Trailer: Katniss Prepares for War! Jennifer Lawrence returns as Katniss Everdeen in the first of a two part finale that finds the rebel warrior having to rescue mankind from the evil clutches of President Snow. The full-length trailer for The Hunger Games: Mockingjay Part 1 has finally arrived, and it offers plenty of new footage as Katniss sets out to save both Peeta and a nation that has been moved by her courage. Check it out as the final war to restore humanity begins, and new heroes emerge. In theaters this fall! The worldwide phenomenon of The Hunger Games continues to set the world on fire with The Hunger Games: Mockingjay Part 1, which finds Katniss Everdeen in District 13 after she literally shatters the games forever. Under the leadership of President Coin and the advice of her trusted friends, Katniss spreads her wings as she fights to save Peeta and a nation moved by her courage.